Suzanne's personal development library consists of personal development articles, blogs and positive thinking help in a variety of formats. POSITIVE THINKING CONTENT SITE: Writing personal development articles has been a passion for Suzanne Glover. She has enjoyed creating Effective-Positive-Thinking.com where she has authored hundreds of self improvement articles focused on maintaining positive attitude and staying positive. 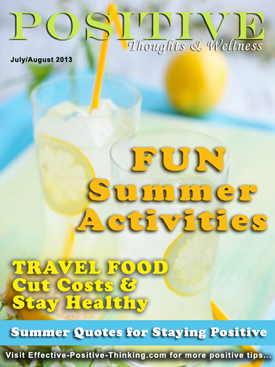 PERSONAL DEVELOPMENT MAGAZINE: Suzanne has also created Positive Thoughts & Wellness, a positive thinking magazine devoted to giving positive thinking help in the form of fun seasonal tips. Tips include overcoming holiday depression, re-inventing yourself for the new year, and organizing your life goals through a personal development plan. When you visit the magazine, be sure to sign up for your free subscription so you don't miss an issue. PERSONAL DEVELOPMENT ARTICLES: Suzanne's personal development library of articles is also spread throughout the Internet on personal development blogs and web sites. You may have already come across a self help article by Suzanne that brought you to this site. 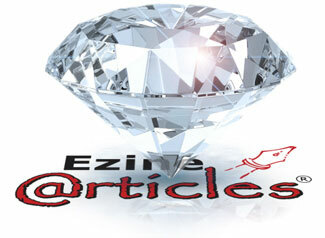 While she has articles spread around the Web, some examples of Suzanne's web articles can be found on Ezinearticles, where she enjoys being a Diamond author. Through her writing, Suzanne Glover has striven to provide effective sources of practical positive thinking tips and advice to inspire people to become their best.